A:It is Depending on your location, For small order, please expect 5-7 days by DHL,UPS,TNT, FEDEX, EMS. For mass order, please allow 5-8 days by Air, 20-35 days by Sea. Dalian Pinmai Export and Import Trading Co., Ltd has a registered capital of 1 million yuan and is one of the most dynamic foreign trade companies in the Chinese market. 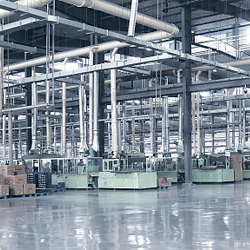 We have a pharmaceutical raw material production plant and a reagent R&D center. We now have the most complete product line. In addition, we have developed and produced tens of thousands of reagents. We also have the business of custom synthesis of various organic compounds as a supplement. We can synthesize almost all chemicals. Our goal is to survive by quality and develop by credit. In the past two years, our products have spread over more than 30 countries in the world, Europe, South America, North America, Southeast Asia and Africa. We work with friends all over the world to develop the best quality products, the most reasonable prices and safe and effective transportation. 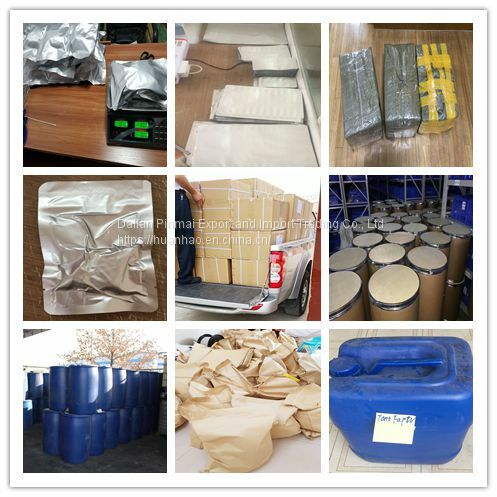 Product can be ordered from milligrams to tons. Meet the purchase of new and old customers. We will not let you down. 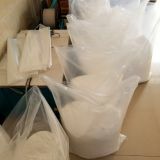 Safty,effective and efficient customer service.Our goods product rapidly and safty.Samples before regular order. We focuse on serving foreign customers and our product sell well in many cuntries.We make sure the good quality product and reasonable price. We have the good after-sales service, to solve any kinds of problems, the goal is making every customer satisfy with our company and gain the best reputation.